How-to Info, Site News | The How-To Repository for the Cigar Box Guitar Movement! We’re now up to 21 entries in our roster, with more to come! Every week, the guys over at CigarBoxNation.com put together a newsletter featuring the best stuff from CBN – instruments of the day, the best discussions and forum posts, videos and more. This week’s newsletter is extra special, as it announces the winners of the Halloween Build Contest! Browse on over and check it out. If you are new to Cigar Box Nation, consider signing up! CBN is the online home and nerve center of the cigar box guitar and homemade/handmade music movements, and a repository of almost 7 years’ worth of how-to info, uploaded photos and videos and other great content. Open G “GDG” is the de facto standard tuning for 3-string cigar box guitars, but a lot of first-time builders have trouble figuring out how best to achieve it. In this article from our how-to library, Ben “Gitty” Baker walks you through different ways to get an Open G “GDG” tuning on your 3-string cigar box guitar. He covers 4 different configurations from a low, growling bassy setup to a higher pitched, more banjo-like treble configuration. There are even sound clips so you can sound what each setup sounds like. 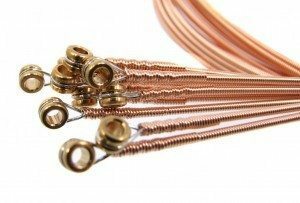 There are also similar articles for a number of other popular tunings, so dive on in and become a Open G expert! 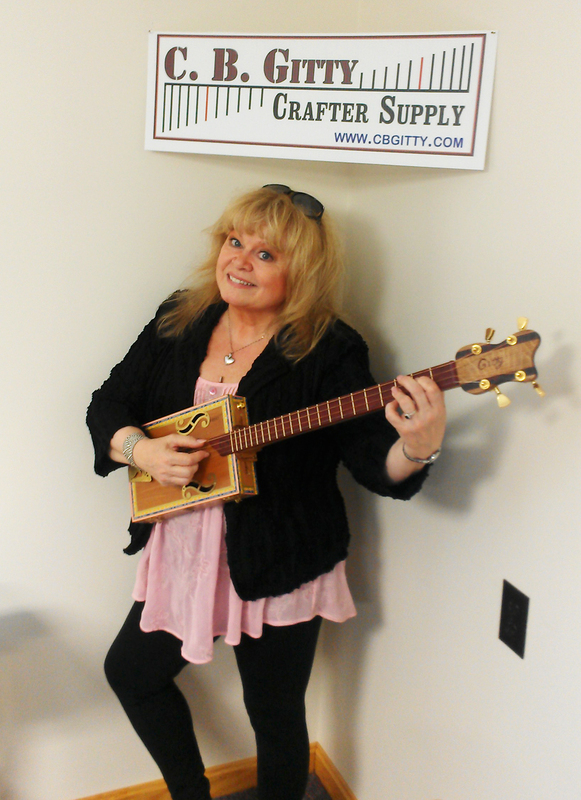 Sally Struthers stopped by C. B. Gitty headquarters a while back to check out the operations and pick up a cigar box guitar for a good friend. The vivacious star of “All in the Family”, “Gibson Girls” and hundreds of on-stage performances was good enough to pose here with one of Gitty’s custom models. 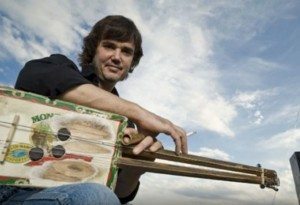 Check out our Celebrity Cigar Box Guitars gallery here on CigarBoxGuitar.com to see more photos of celebrities with our favorite homemade instrument! These free plans, originally written by Ivan Sucharsky and recently updated, have been the starting point for thousands of new cigar box guitar builders. Based on the original cigar box guitar plans formulated by Shane Speal, they have been edited to bring them up to date and re-published on CigarBoxNation.com. 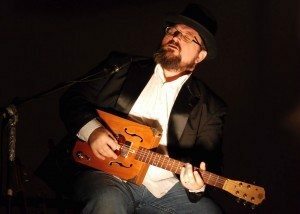 CigarBoxNation.com is the home of the cigar box guitar and homemade/handmade music movement on the Internet, and if you haven’t checked it out (or haven’t visited for a while), you should click on over and give it a look. Also the Cigar Box Nation Facebook Page is the premier news magazine for all things CBG and homemade instrument related, with multiple news items, articles and features every day! We have been busy compiling the definitive database of performing musicians from around the world who regularly incorporate Cigar Box Guitars and other homemade/handmade instruments into their stage acts. Check out the first 13 entries here! This is a work in progress and we have more artists to add, so don’t panic if you don’t see your favorite CBG musician yet! Also please note that this list is limited to musicians who are actively touring or frequently performing public shows in front of live audiences (including busking). Click the image above to view the knowledgebase entry & download link. 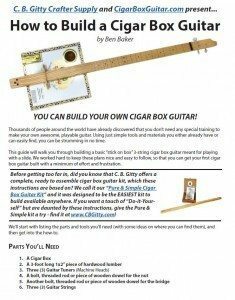 We just added the full “how-to” guide for C. B. Gitty’s new Cigar Box Ukulele Kit to the knowledgebase here on CigarBoxGuitar.com. 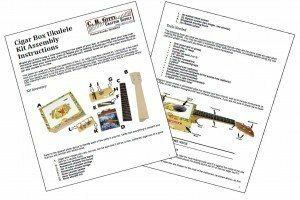 While written specifically to show you how to assemble their complete CB Uke kit, this guide is also a good reference for anyone looking to build a cigar box ukulele from scratch. If you have ever wondered about what it takes to build a cigar box ukulele, check out this guide. And if you want to try your hand at it, don’t forget that C. B. Gitty sells both the complete kit and also a nice range of individual ukulele parts. We just added a new entry to the free cigar box guitar knowledgebase here on CigarBoxGuitar.com – a series of 5 video lesson in which “King of the Cigar Box Guitar” Shane Speal shows you some of the most famous blues riffs, licks and turnarounds. With these quick, easy-to-follow lessons, you’ll be sounding like one of the blues masters in no time. From the classic blues “walkdown” lick to some more advanced runs, Shane presents this foundational how-to material in a clear, approachable way. So grab your cigar box guitars, tune them to Open G “GDG”, and get ready to start belting out some blues! We just added a new entry to the library, an article telling the story of the man who is largely responsible for the existence of the modern cigar box guitar movement. Shane Speal started building cigar box guitars in 1993, and from that time has been tirelessly promoting the instrument, performing onstage with them, and creating online communities to help people discover the instrument and start building their own. He took the title “King of the Cigar Box Guitar” back when such a title seemed full of irony – who would want to be the king of such a crazy, primitive, mostly forgotten instrument? This article by Glenn Watt re-introduces Shane Speal to those who may never have heard of him. For 22 years he has been building, playing, and preaching cigar box guitars. Click the image or link above to view the full article. Click the photo to view the full gallery. We’ve just added a new photo gallery to the library, this one made up of photos of celebrities holding/playing cigar box guitars. 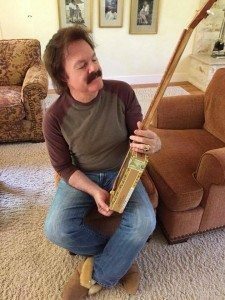 The photo to the left shows Tom Johnston, one of the founders of the Doobie Brothers, checking out a cigar box guitar made for him by Greg Campbell. Click here, or on the photo to the left, to view the full gallery.